When you are in the position of hiring a wedding photographer, lots of things may run through your mind. The process may seem daunting, but I hope I give you some helpful information that might be beneficial to your decision making process. 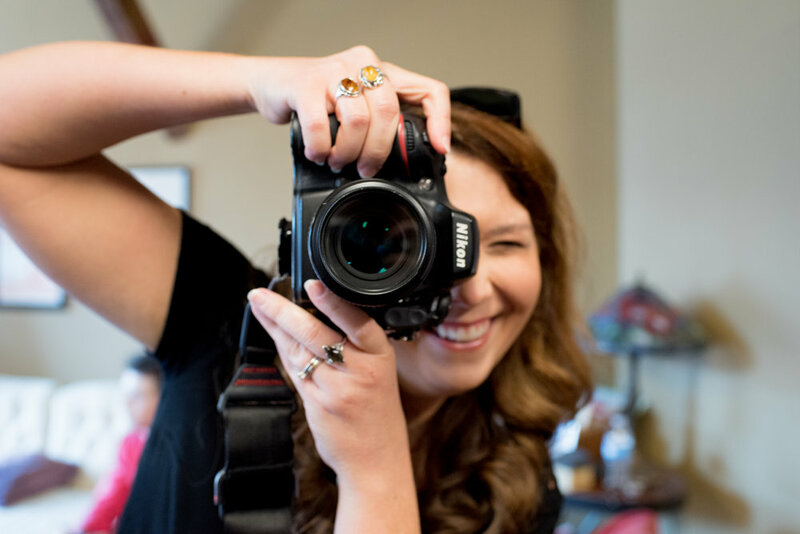 First of all, ask yourself “What top three services do I value the most when it comes to my wedding day?” I need to hear everyone say “PHOTOGRAPHY” in this list! Photography really needs to be in this top three because it is one of the most important aspects of the wedding. It's cliche to say this, but honestly the photos will be all you have when it's all said and done. You will leave the venue, eat the food, drink the alcohol, watch the flowers wilt, wear the dress (and probably get it dirty), return the tux, wash the makeup off, comb out your teased and pinned hair, and never send out those invites again. Photography will be the one thing you can actually look back on and get to relive your wedding day over and over again for the rest of your days. It's worth the research, price, and wait. 1. Photographer Shooting Style/Personality: Photographers really pride themselves on having a unique style and approach to how they shoot and edit their photos. This is going to relate to how they photograph your wedding. Some are more withdrawn and don't go after the shot or create the shot. They linger and look for things to unfold, somewhat of a documentary style. This doesn't necessarily mean they aren't going to do the traditional family photos or other posed shots, but they might not spend too much time on them because they're wanting to "catch" moments as the happen and if they are busy directing you they are not getting the kind of footage they truly want. Other photographers go right into the action to photograph the fun or see something that "could" be a good shot and fearlessly direct people to create the shot they see in their mind. These photographers are more likely to chat up your wedding party and have everyone laughing and feeling comfortable. Neither of these photographers are better than the other, they simply have different approaches. I feel like the personalities of the bride and groom and the photographer really come into play here because if they are mismatched, this can create a disconnect with your photographer and, perhaps, the photos may not be exactly what you wanted. Feel free to ask about this and let them elaborate on what they think they're style and approach is when it comes to photographing a wedding day. 2. Editing Style: I think people can be very confused on editing terms and how to use them in conversation or how to ask the right questions when it comes to editing. Will my photos be edited? Yes. Will you retouch them? Ehh, yes and no (retouch note below). There is a lot of “free reign” for photographers when it comes to choosing how a photo is going to look. In the current culture of photography, the industry has categorized photographers into two realms: “light and airy” or “dark and moody”. Some photographers scoff at this while some embrace it. I think some scoff at this simply because they know they are capable of shooting and editing both styles and don't want to box themselves in with either label. Some love it because it embodies everything about their brand and they want to only show the work that best reflects that particular look. You may be drawn to one of these more than the other (see previous discussion point) and that may help in deciding who you hire, but know that these are simply editing styles. For example sake, let's say a couple hires a "light and airy" photographer whose outdoor work is unbelievably beautiful, but this couple is getting married indoors on a rainy day at a very low lit, hardly any natural light venue. They need to know that this photographer can shoot in this scenario and still provide them with beautiful photos despite the lack of natural light. A great wedding photographer should be able to handle just about any lighting situation they're given and believe me, the longer they've been a wedding photographer, the longer they've been exposed to the craziest lighting situations around. Wedding photographers are thrown into some difficult lighting scenarios quite frequently and they learn to adapt and react quickly so as to not miss the shot. All of this to say: the "light and airy" photographer may only show the beautiful, delicate photos they love, but they should also be able to photograph a dark event space with the use of flash or off camera lighting where they won’t be able to depend on the sun to light everything for them. Don’t be afraid to ask to see more images if you’re not seeing a similar vision of your wedding in their portfolio. You are hiring them, after all. -Make sure you sign a contract with your photographer. Read through it and make sure you agree and are okay with what it states. You are signing it and so you need to be aware of its contents in case your photographer actually has to follow through with something in it! -Ask for your photographer's involvement in preparing the wedding day timeline. You really need their input on reserving the proper time frames for photos. Time on a wedding day goes like the wind! I'm telling you, it just evaporates, so please build in cushions of time if you are able to at all. You will end up using and needing these time cushions more than you think. Something or someone always runs late or behind and you'll need extra time. An experienced wedding photographer will know how to gauge their time in photographing large wedding parties or large family groups versus an elopement or just smaller sized event. Also, it's important to communicate to your photographer what aspects of the day are most important to you. For example, if wedding party photos are less important to you and you rather your photographer spend more time with you and your family, then voice that. 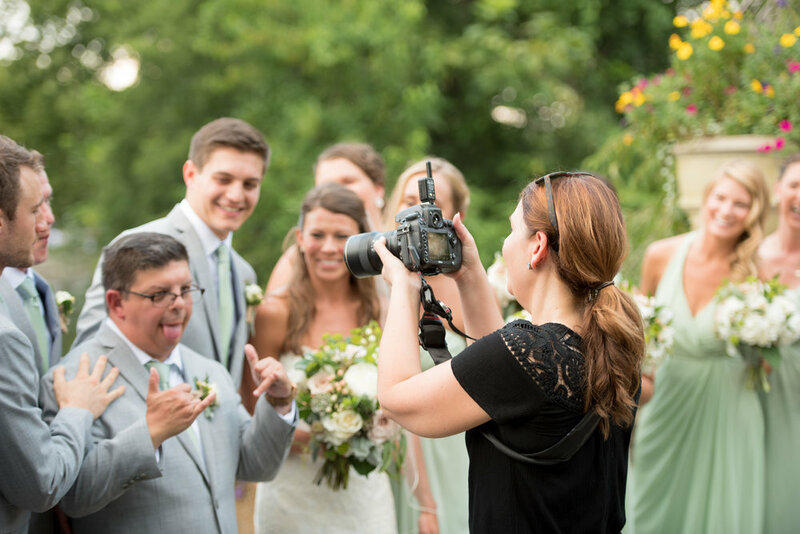 Every wedding and every family has different dynamics, but your wedding photographer can't always assume you want what the majority of people want. Don't be hesitant about being specific with your wants when it comes to what is most important to you. -Ask about the length of time it takes to get the photos back. Usually this is in the form of an online gallery or an online sharing of your photos (Google Drive or Dropbox, etc) after they have been culled and edited. A typical time frame would be 6-8 weeks. There are some photographers, however, that take months so I encourage you to ask this ahead of time so expectations can be managed. -The general editing of photos usually doesn't include detailed, intricate retouching so know this from the start. A stress pimple, a sweat drop, grass or fuzz on a pants leg are usually filed under that "general editing" umbrella, but for severe acne, lots of power lines in the distance, removing or adding in something of significance, etc., these are all things photographers aren't going to spend time on when they are trying to edit over 2,000 photos from your wedding day. You'll need to ask about retouching requests and how they handle those once you've viewed them. ***As a word of caution, I'd advise against adding filters on the photos your photographer gives you. Some photographers may not even mention this and some may go out of their way to mention it (or put it in their contract), but either way no photographer wants to see a filter applied to a photo they spent time on to make beautiful for you. Photographers like to say, "Just say no to filters." This mainly applies to Instagram, but of course any social media platform where you can alter can image this will apply. I could probably give infinite amounts of tips, but let this information be a good jumping off point when searching for and interviewing photographers for your big day! This has been fun for me to share a little of my side of things, shed some light on wedding photography, and why it is important to me and should be important to you. Good luck!